BANG BANG SAUCE is sweet, spicy, and creamy. It's such a delicious and easy sauce to make for all kinds of dishes. 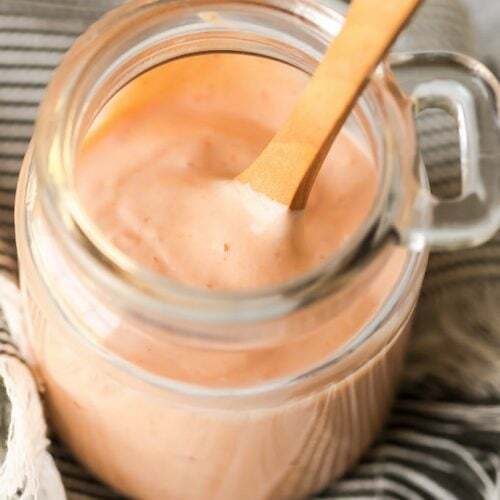 This Bang Bang Shrimp Sauce is definitely known for the Bonefish Grill namesake appetizer, but this homemade version is even better! This Bang Bang Sauce recipe is actually a lot healthier too, as it's made with yogurt instead of mayonnaise. Try this flavorful sauce with seafood, meat, or vegetables. Combine all ingredients and keep in an airtight container in the fridge for up to 10 days.